Pete Also known as Peg Leg Pete and Black Pete, this gruff, cat-like character appeared first in the Alice Comedies in 1925, but soon became better known as Mickey Mouse’s and later Donald Duck’s primary nemesis. 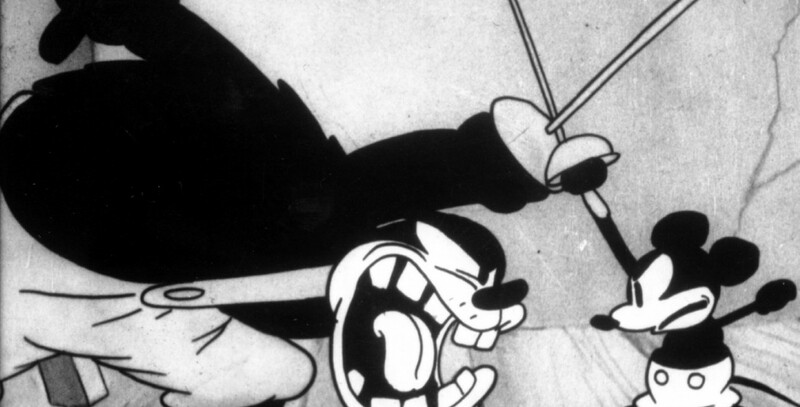 Since Steamboat Willie, Pete appeared in 31 cartoons. In the earliest cartoons he had a peg leg, but that was dispensed with in his later appearances when the animators found it too hard to handle in the stories.